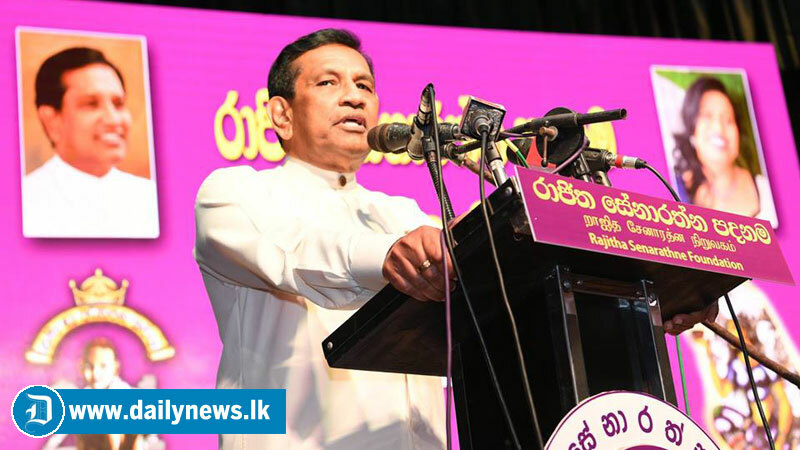 The drug shortage will be ended by March end, Health Minister Dr. Rajitha Senaratne said. According to Minister Senaratne, the drug shortage commenced with the 53 days of political crisis and all possible steps were taken to address the issue. The Government Medical Officers Association is also responsible for the drug shortage because they had close connections with then Health Minister and they were always moved here and there inside the Health Ministry during that time. But they did not see the drug shortage that is coming round the corner. The essential drugs required for cancer patients were air lifted three times. He was addressing the gathering during a meeting held at Panadura Town hall recently. Minister Senaratne pointed out that during the past three years all drugs were provided without any shortage. The high prices of 73 drugs have already been reduced and the prices of another 27 drugs will be reduced soon. Once the prices of 100 drugs reduced the prices of 1000 different brads of drugs will go down. A sum of Rs 10 Billion had been requested from the Finance Ministry to provide free eye lenses and heart stents. During the past three years free eye lenses and heart stents were provided for all patients who obtained medical treatment from state hospitals without obtaining funds from the Finance Ministry. The funds saved from preventing corruption and malpractices at the Health Ministry used to provide free lenses and stents, he said. The second General Hospital at Panadura will be constructed soon at a cost of Rs. 22,000 million, he added.